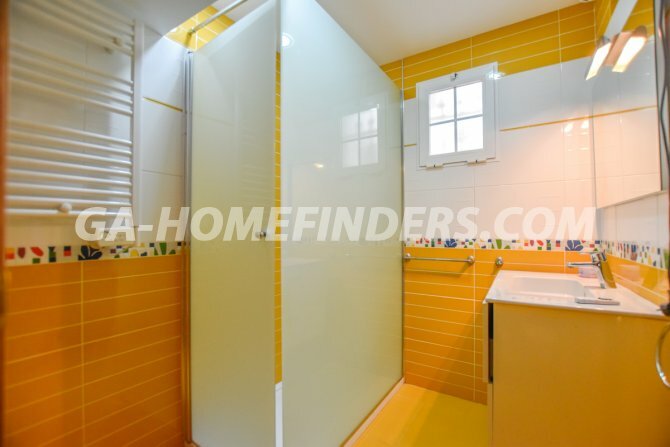 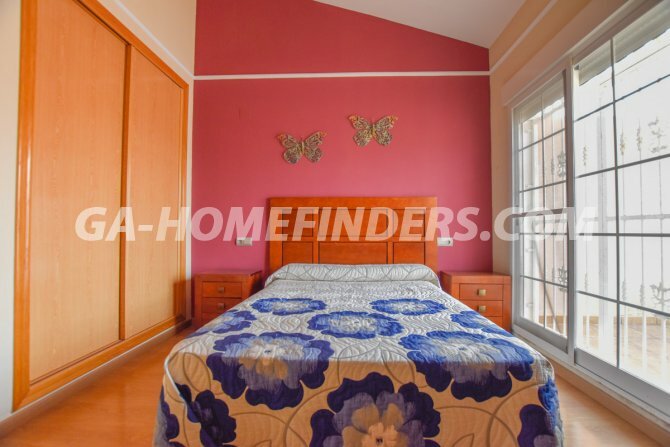 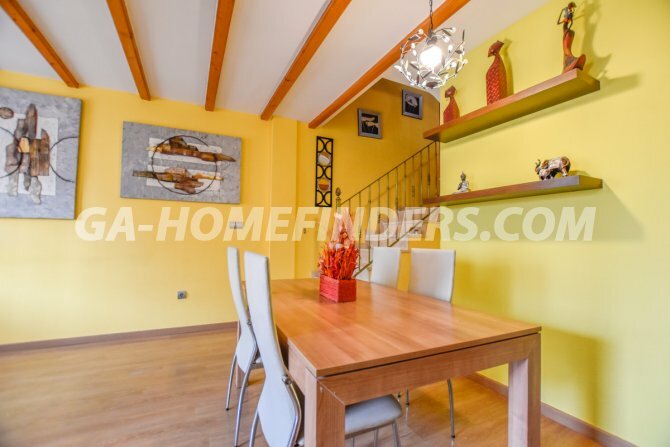 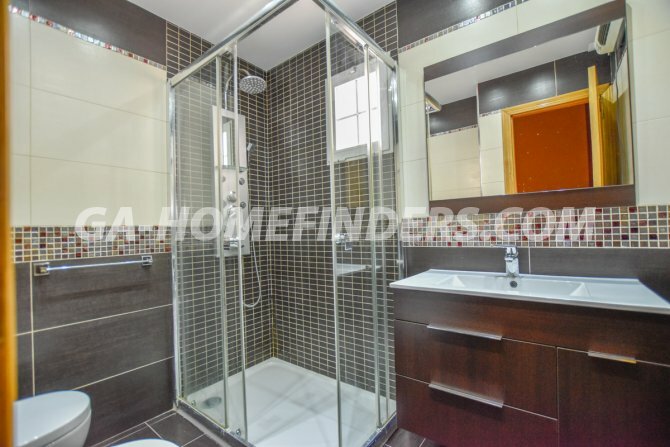 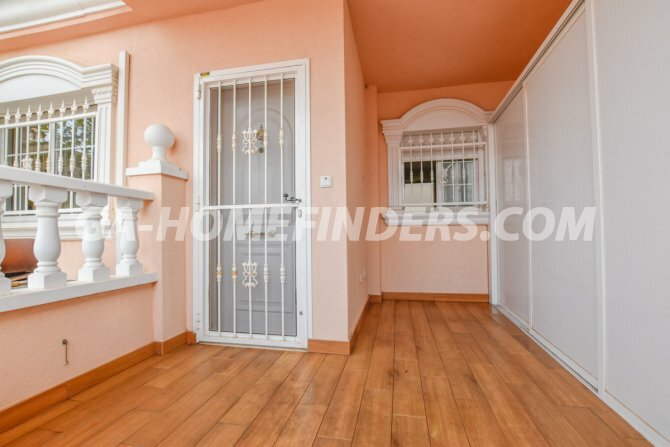 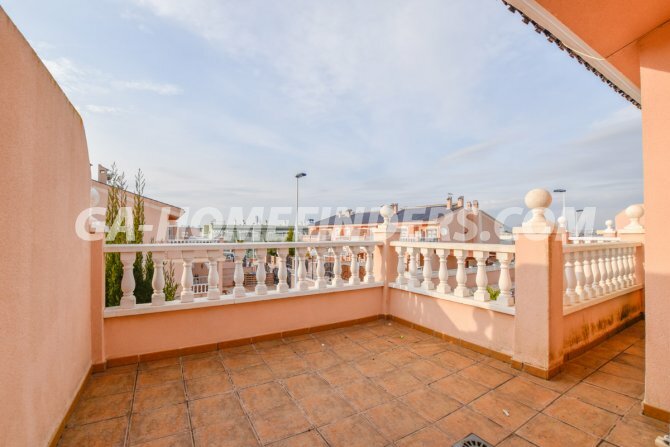 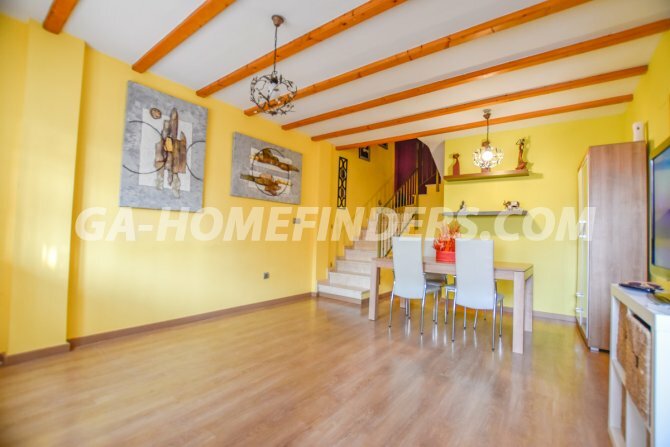 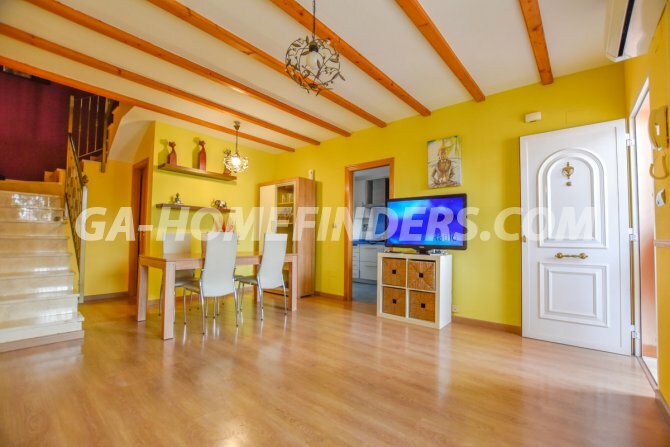 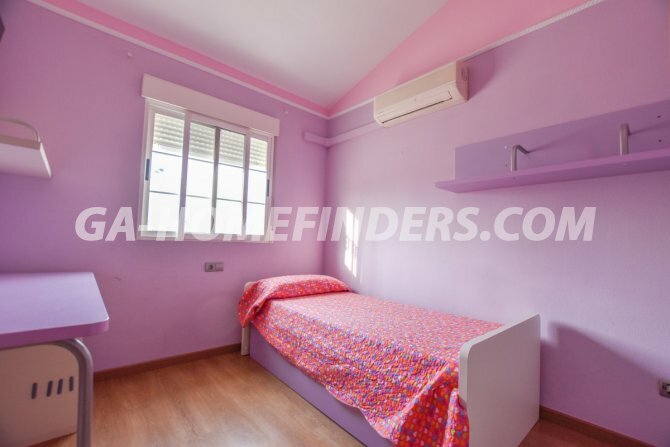 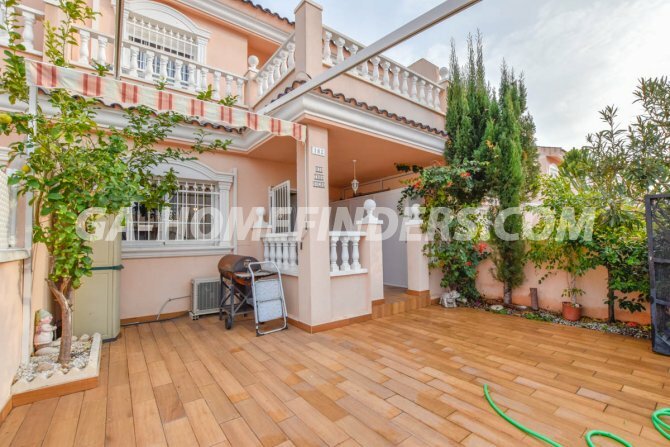 Furnished townhouse which has two bedrooms and two bathrooms. 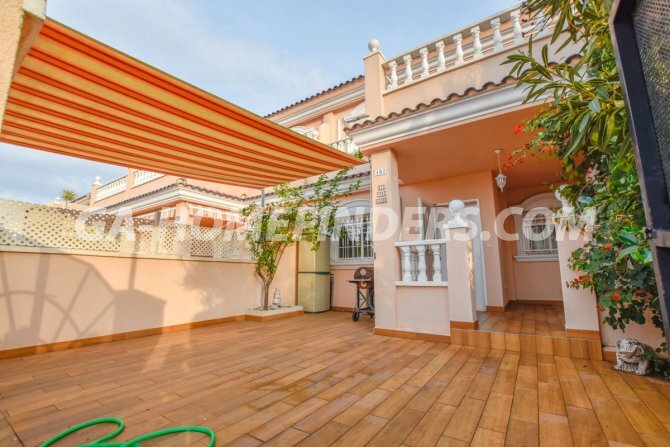 At the entrance of the house there is a large terrace and covered porch with a built in storage unit. 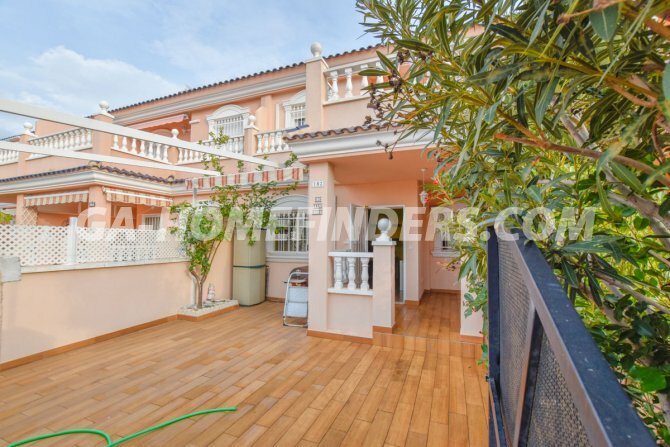 On the ground floor there is a spacious living room, an independent kitchen with all appliances that links to a gallery and a bathroom. 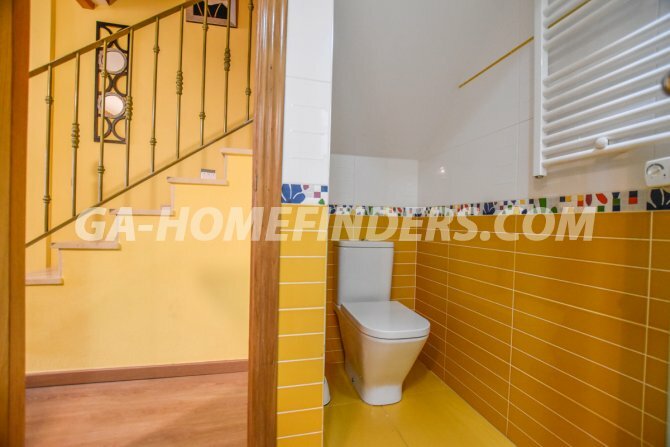 Upstairs there are two bedrooms; the main one has fitted wardrobes and access to a private terrace and the second one has a freestanding wardrobe. 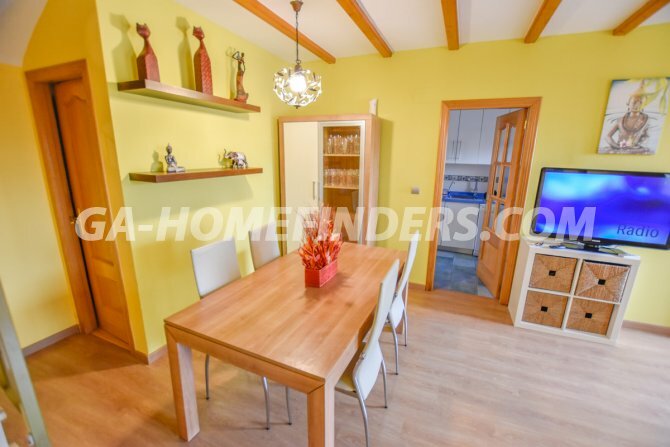 The whole house has been renovated and has laminate flooring. 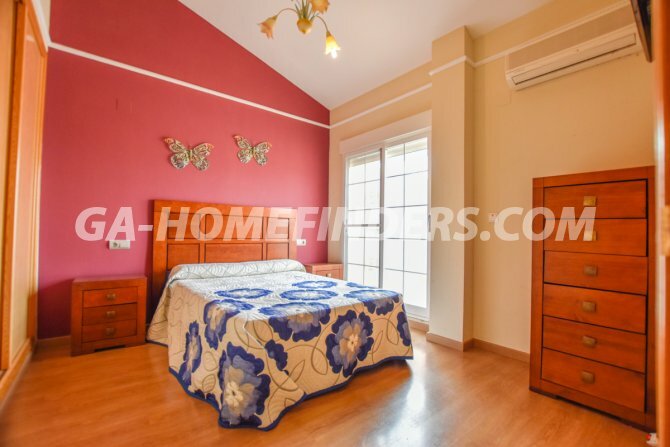 All areas of the house have air conditioning (hot and cold) and the windows have blinds and grills. 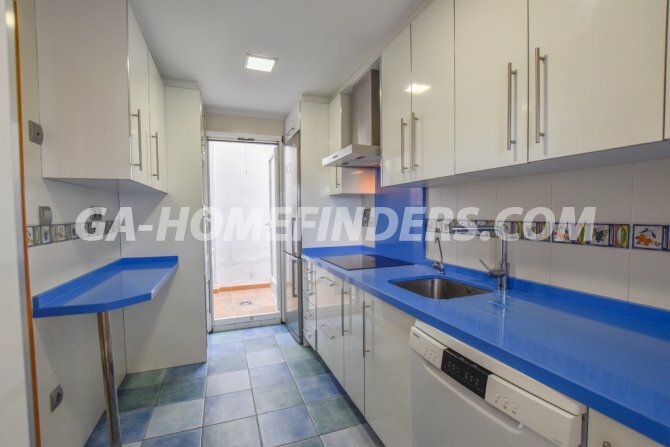 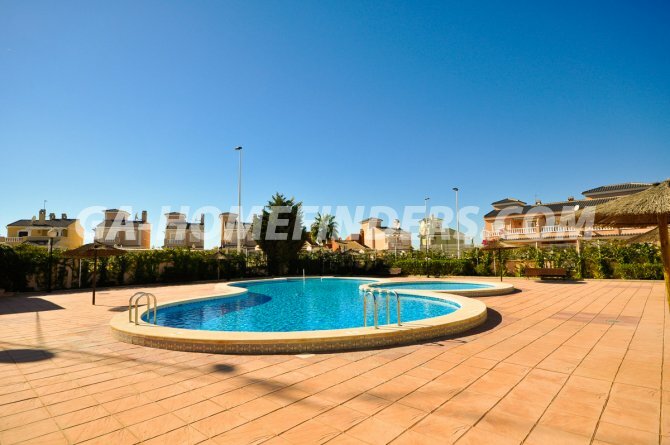 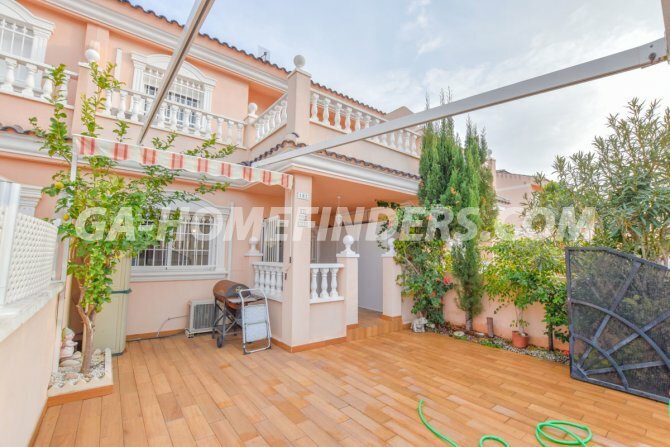 It is situated in the lower part of Gran Alacant close to the shopping centre, bars, shops, banks and public transport.